BEACHFRONT! 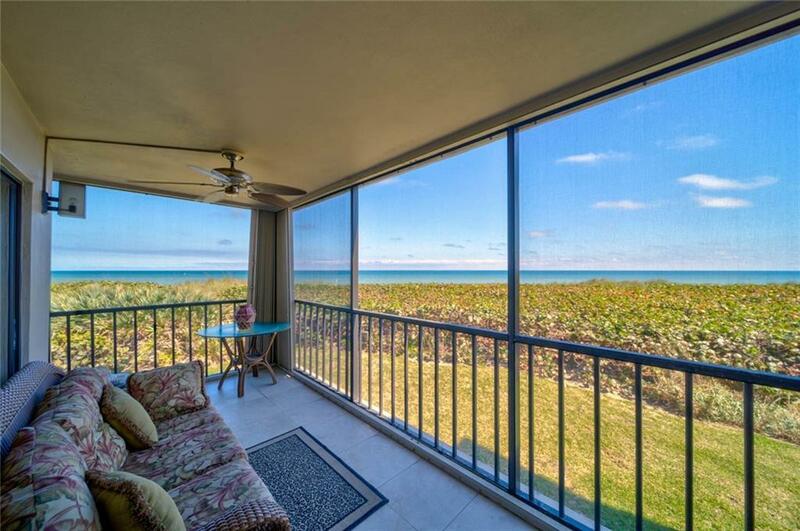 Awesome 2nd level oceanfront Point condo in highly sought after Sand Pebble on the Ocean. Underground parking space #103 & extra storage locker # 23. Kitchen updated, Diagonal tile throughout, renovated bathrooms. Large wrap around screened in porch with panoramic ocean views, looking North & South. Second balcony off kitchen. Accordian shutters. Sold furnished.San Pebble amenities include oceanside pool, with 4 other pools on riverside. 2 hot tubs, clubhouse, BBQ's.....everything that you want in a sought after beach home is waiting for you at Sand Pebble.